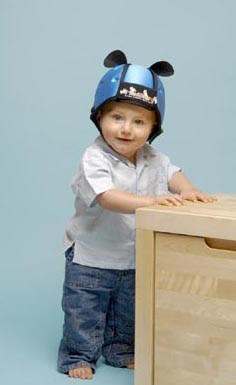 Thudguard is a revolutionary new product, an infant safety hat, designed to help absorb and reduce the impact of head injuries due to a fall or collision. It is suitable for babies and toddlers aged 7 months to 2+ years. Does it come in grownup sizes? I think this would be a good look for The Nag. Because we want a future generation of ever more overprotected sissies!